Abby Anderson will hit the road with Rob Thomas’ Chip Tooth Smile Tour. The tour will launch May 28 in Red Bank, New Jersey and will run through the summer, ending Aug. 4 in Connecticut. The tour will visit Nashville’s Schermerhorn Symphony Center on July 9. Anderson, signed to Black River Entertainment, was named one of CMT’s 2018 Next Women of Country and released her debut single, “Make Him Wait.” Thomas is known for his work as leader of Matchbox Twenty, with hits including “Bent,” “If You’re Gone,” as well as his platinum-selling, three-time Grammy winning collaboration with Santana, “Smooth,” and solo hits including “Lonely No More.” Anderson joining a pop tour follows in a lengthy trend that it seems nearly every female country artist not named Miranda Lambert or Carrie Underwood has joined over the past year. Last year, Kacey Musgraves joined Harry Styles’ tour, while Maren Morris toured with Niall Horan, while Cam opened for British soul singer Sam Smith. This year, Kelsea Ballerini joined pop star (and occasional country crooner) Kelly Clarkson’s Meaning of Life tour. Tickets for the Chip Tooth Smile Tour go on sale to the general public go on sale Friday, March 1, at 10 a.m. local time. Click HERE for more information. The Tortuga Music Festival in Fort Lauderdale Beach, FL continues to grow year after year, with its 2019 festival shaping up to be one of the biggest and best. On Tuesday morning, Jan. 15, the festival revealed the full lineup for its Next From Nashville stage, featuring Abby Anderson, Gabby Barrett, Travis Denning, Everette, Filmore, Lauren Jenkins, Caroline Jones, Levon, Walker McGuire, Logan Mize, Seaforth, Natalie Stovall, Tenille Townes, Rachel Wammack and Waterloo Revival.Read the full story HERE. Abby takes PEOPLE inside the Bloomsburg, Pennsylvania and Cleveland, Ohio stops of Brett Eldredge’s The Long Way Tour. Her EP I’m Good is available now! The Dallas native has been making waves in Nashville and washing over the country music industry. 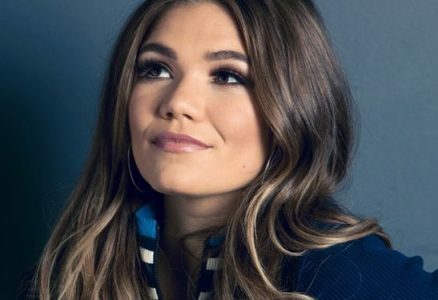 Her vocals have been praised for maturity beyond her years, and her command of the genre is taking country rock to new heights. Backed by a stellar band and a talented songwriting team, her debut EP I’m Good dropped last month and showcases the newcomer’s impressive talents. Read the full story HERE.